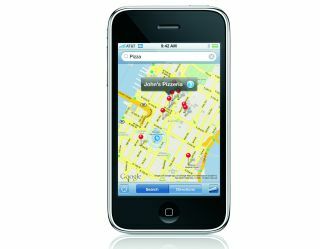 It appears some iPhone users, having upgraded to the recent 2.0.1 firmware, are experiencing problems with GPS. In some cases, the tracking chip is having trouble finding someone accurately (never good for GPS), in others, not finding them at all. Although this isn't a confirmed problem from Apple, complaints have been appearing on message boards over the internet. However, before we tar Apple with a large and sticky brush, this could be a wider problem across many more GPS handsets, as the technology struggles to keep up with the demand for top-end chips in every handset. After Apple's recent problems with international roaming and unlocked handsets, it will be keen to avoid any more negative publicity for the latest firmware update.